Jose Mourinho has been sacked by Manchester United in his third year with the club. A caretaker manager is expected to be appointed until the end of the season while a recruitment process for his successor takes place. His removal came after the club fell to a dispiriting 3-1 defeat to old rivals Liverpool at Anfield on Sunday. United are now 19 points behind Juergen Klopp's Premier League leaders and sit 11 points off fourth place and Champions League qualification. Former Manchester United captains Gary Neville and Roy Keane turned their fire on Mourinho after the defeat. Mourinho's decision to leave Paul Pogba as an unused substitute raised eyebrows with Neville saying the midfield was not up to scratch. 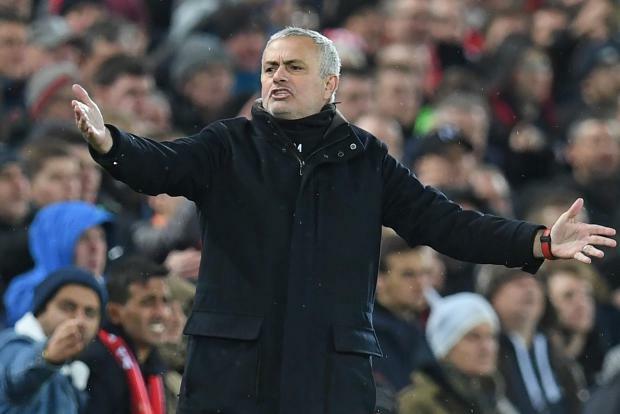 Neville said it would not make sense to sack Mourinho mid-season and pointed the finger at the club's directors for extending the manager's contract last season. "The board are so naive, giving him a new contract. Manchester United need to reset. It's not just the manager, it's deeper than that. They lost control of the football club when they gave him a contract extension 18 months in." Mourinho was fired in 2015 from Chelsea after a poor run of results. He then replaced Louis Van Gaal at Manchester United in 2016,where he won the FA Community Shield, League Cup and the UEFA Europa League in his first season. "I've been fortunate to spend time at Tottenham's training ground, and for me he (Mauricio Pochettino) feels like the ideal candidate. United have tried managers who have won European cups, they've tried managers who have won multiple leagues. "My view is they need someone who meets the three key principles of the football club, and that is promotion of youth, entertaining football, and to win football matches." "With United 19 points behind Liverpool after 17 games, with the vast majority of players playing way below their best... and dour football to boot. "Given Mourinho was allowed to spend hundreds of millions on those players, the split seemed inevitable." "I think he (Mourinho) would have known this was coming. I'm not surprised... with the money he has spent and how the players are playing at this present moment in time... I said on Sunday, I couldn't see any light at the end of the tunnel for them. "I was at Bournemouth two weeks ago. I'm a season ticket holder there. My season ticket is 10 rows behind the dugout and I saw a man who didn't want to be there." "He not the only one who should depart."